A woman, who was arrested earlier this week after druging a toddler with methamphetamines in a Berkeley park, will be arraigned on Thursday, according to court documents. Bob Redell reports. A woman was arrested Monday after giving a toddler methamphetamines, according to the UC Berkeley police. 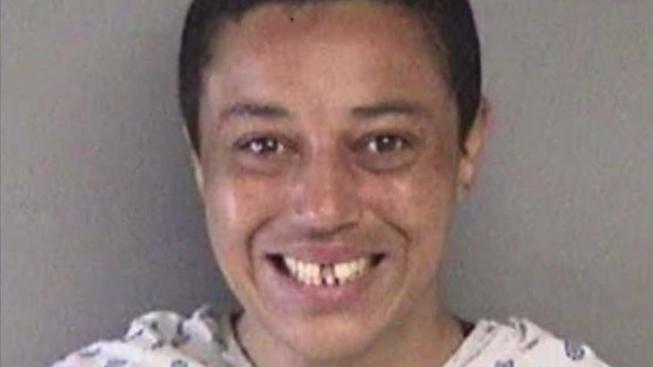 Sayyadina Thomas, 36, was arrested on suspicion of attempted homicide after she walked up to a 2-year-old boy at a playground at People's Park in Berkeley and placed something in his mouth, police said. An eyewitness who did not wish to be identified came face to face with the potentially deadly situation. "He was playing with the nanny in the play yard," the witness said. "She just walked up to him a grabbed him, and she stuck her hands in his mouth." A woman was arrested Monday after giving a toddler methamphetamines, according to the UC Berkeley police. Cheryl Hurd reports. After the boy's nanny checked his mouth and found nothing, she called UC police to report the incident, and officers and paramedics responded. Thomas initially was taken into custody for a psychiatric evaluation, but while en route to the holding facility, she told the paramedics that she had given the child methamphetamines, police said. The boy was taken to UCSF Benioff Children's Hospital Oakland, where it was determined that the boy had indeed ingested methamphetamines, police said. The boy was recovering in the hospital Tuesday. Neighbor Matt McBryan said he walks his dog in the area daily, but he rarely sees children playing at the playground. "I know this isn’t the cleanest place, not a good place to have your kids," he said. Anyone with information about the crime should contact the University of California Police Department's Criminal Investigation Bureau at 510-642-0472 or 510-642-6760.